Yoga is an invaluable gift of ancient Indian tradition. It embodied unity of mind and body; thought and action; restraint and fulfilment; harmony between man and nature and a holistic approach to health and well-being. Yoga is not about exercise but to discover the sense of oneness with ourselves, the world and Nature. By changing our lifestyle and creating consciousness, it can help us to deal with climate change. " With these words, Honourable Prime Minister of India, Shri Narendra Modi, spoke in September 2014 at the 69th session of United Nations General Assembly (UNGA), elaborating on the holistic aspects of Yoga and urging the global community to adopt an International Day of Yoga, devoted to this ancient and highly beneficial practice. International Day of Yoga (IDY) was celebrated for the first time on 21st June, 2015 that coincides with the day of Summer Solstice. Millions of people in India and across the globe participated in the Ist IDY celebrations. In 2015 hundreds of participants took part in the pre-events organized by the Embassy in Rome. On the Ist IDY i.e. June 21st, 2015, in Italy teachers and volunteers from all partner yoga associations simultaneously performed Asanas mentioned in the Protocol at 12:00 hrs, making a record of sorts. For the 2nd International Day of Yoga, Embassy again opened its doors to yoga enthusiasts from Italy. Every day, from the 13th June, Yoga enthusiasts have been gathering in the Embassy’s premises for conferences and for practicing different forms of Yoga and Meditation techniques. The week long celebrations will culminate in Rome in the evening of June 21st, 2016 in the hanging gardens of the Auditorium Parco della Musica. Indian colours and atmosphere will welcome the participants for an evening of Yoga practice and Music from 17:30 to 20:00. The common Yoga Protocol will be followed in a mass Yoga practice led by the teachers of partner associations. Also this year, at the same time, all over the country, the same sequence of Asanas will be performed. 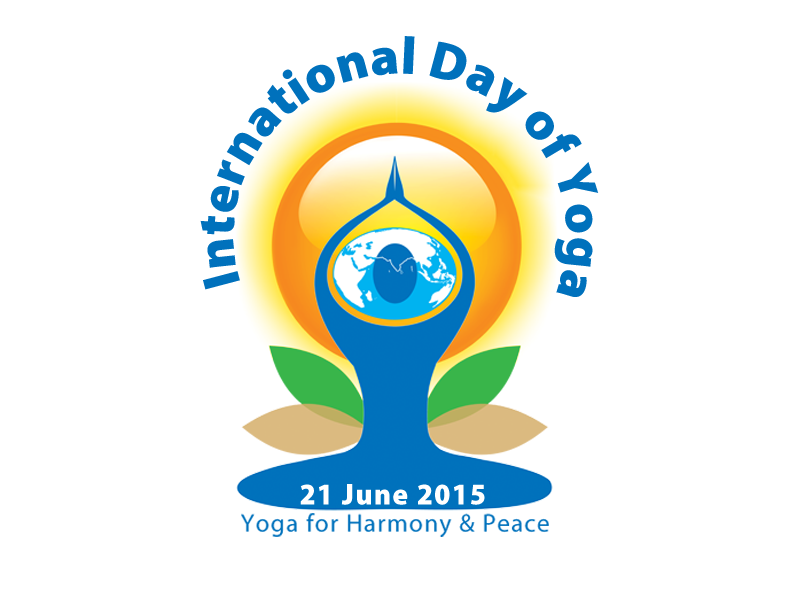 Join and witness this Yoga celebration for Harmony and Peace!